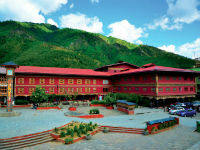 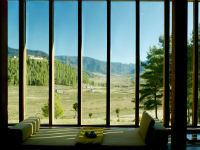 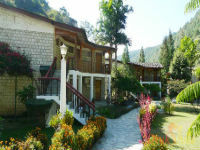 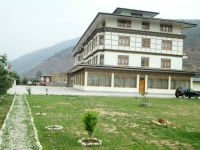 Bhutan has a strict policy and a set of rules and regulations to manage hotels running in Bhutan. 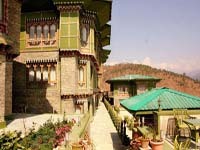 Government has ruled that only hotels, which have three, stars rating and above can host tariff-paying tourists. 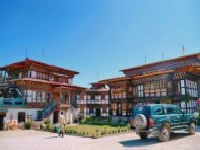 Two star hotels that have failed to get three star have been given a period of a year to upgrade themselves to a three star hotel. 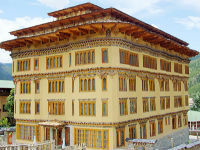 The recent evaluation of hotels was done by the a joint team of Bhutan Chamber of Commerce and Industry (BCCI), Tourism Council Of Bhutan (TCB), Hotels Association of Bhutan and a foreign consultant from Australia, Dr Raffling. 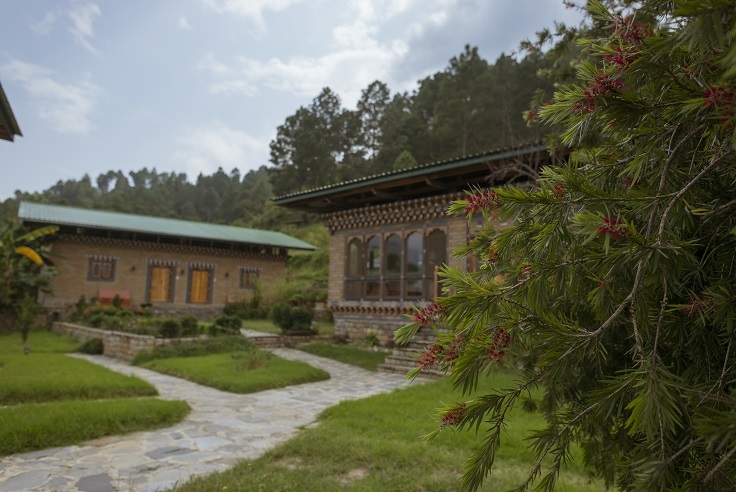 According to TCB, the rating criteria included international best practices adapted to Bhutanese needs, local aesthetics and incorporation of eco-friendly elements. 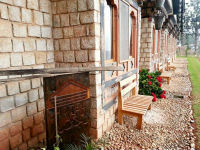 Rema Resort offers an ideal space for any visitors looking for a quiet and peaceful place to stay. 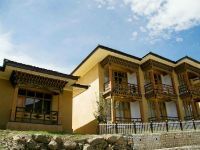 The 45-room Zhiwa Ling Hotel combines the sensibilities of a fine Bhutanese guesthouse with the best of 21st Century technology. 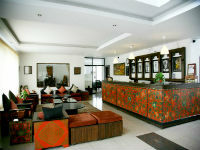 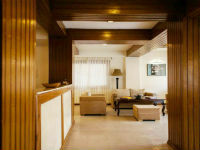 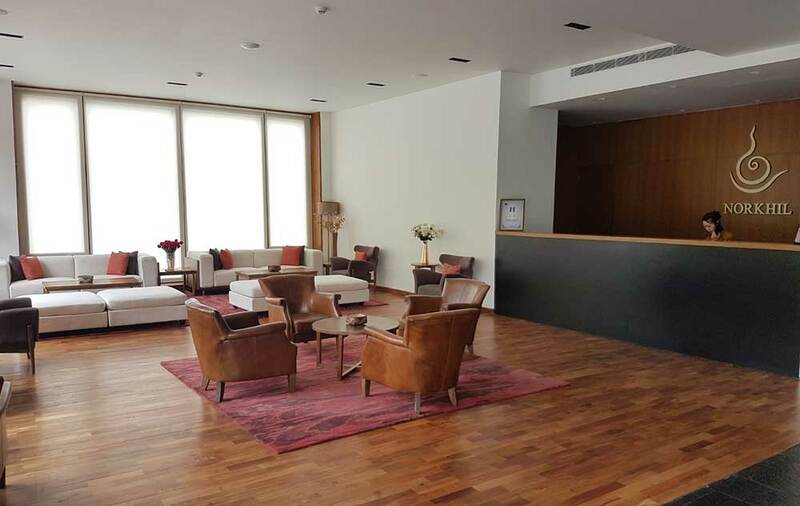 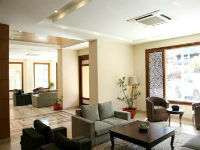 Khang Residency is a premium serviced apartment that just open on 5th October 2011. 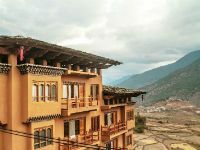 Hotel Norbuling is a brand new Hotel in located in the center of Thimphu city with a blend of modern yet traditional influences. 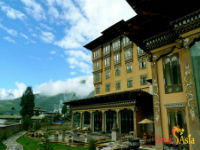 One of the few hotels that offer beautiful scenic views of the mountains. 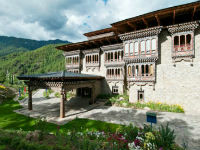 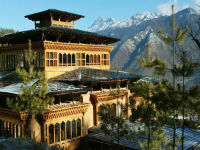 Bhutan Suites located in Thimphu, Bhutan is situated below the 12th century Changangkha Lhakhang. 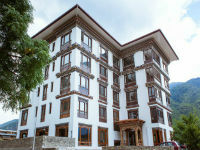 A 4-star luxury hotel newly opened in 2018. 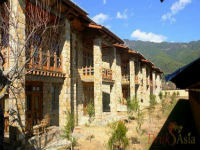 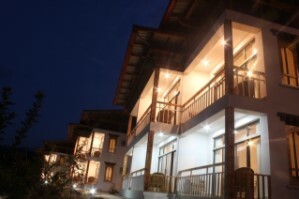 Norkhil is prominently located where it gives breathtaking panoramic views of Thimphu City. 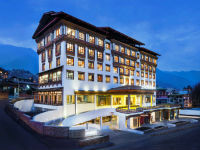 Designed to reflect the rich cultural heritage of Bhutan’s captivating capital, our first hotel in this unique and special country draws its inspiration from the Four Harmonious Friends, a beloved national folktale which describes an elephant, a rabbit, a monkey and a partridge working together to harvest fruit from a magical tree. 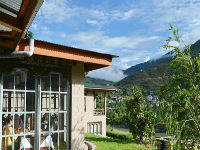 On a hill slope overlooking the town of Punakha, Meri Puensum is a family run Bed & Breakfast. 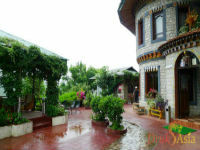 It has a garden with the most amazing flowers and plants. 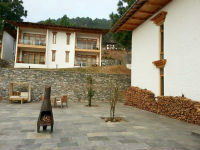 Home Stays is a unique opportunity to experience the gracious hospitality of the Bhutanese family, typically a traditional Bhutanese farmhouse. 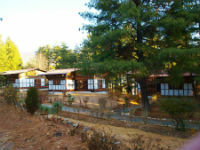 A very special wood-and-stone lodge opened in November 2013. 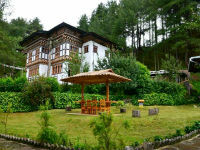 Kichu Resort is a scenic and secluded resort located on a river providing a great getaway from the crowd while in Bhutan. 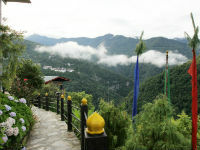 Dragon's Nest is situated on the banks of Punatsangchu River in Wangdiphodrang. 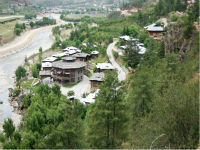 A scenic view of the river and the villages in Wangdue from Punatshangchhu. 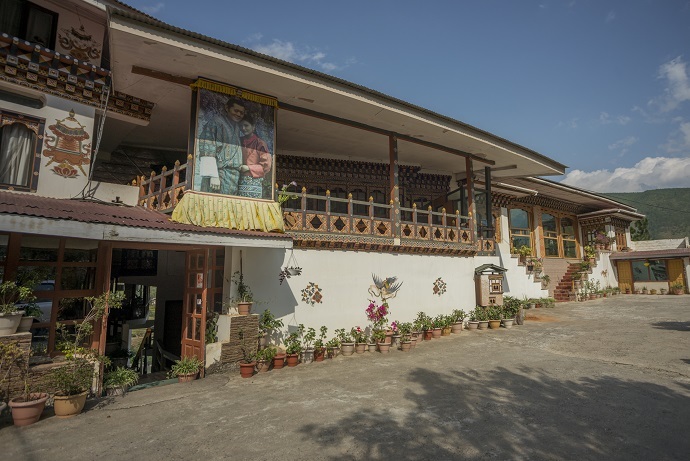 Located between Khuru and Bajo town, with a wonderful view of Puna Tsang Chu River. 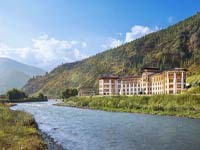 Built on the ancestral land of the family, the valley faces the confluence of the Dang Chu and PunaTsang Chu. 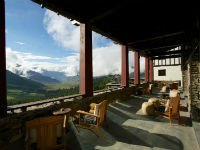 Amankora Paro is situated 2,250 metres above sea level and on clear mornings will reveal an uninterrupted view onto Mount Jomolhari. 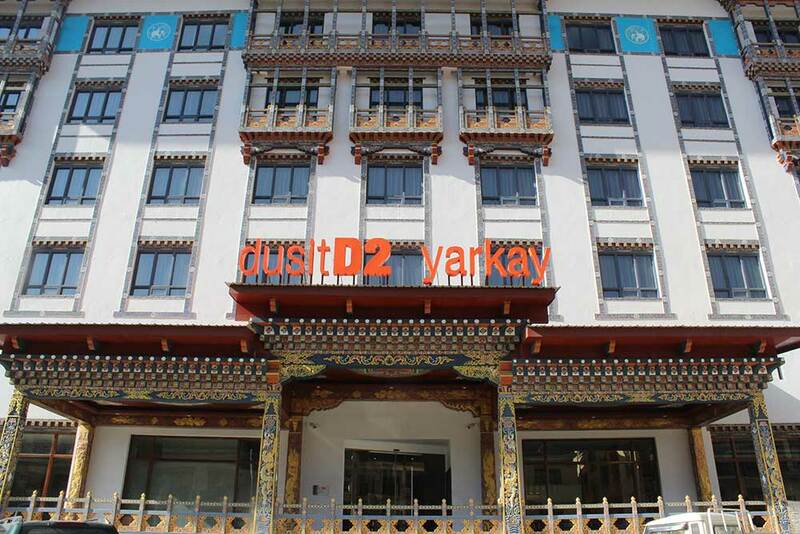 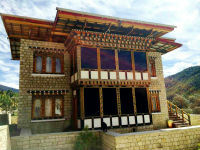 Unlike its sister locations, Amankora Bumthang is located directly in the centre of Bumthang Valley. 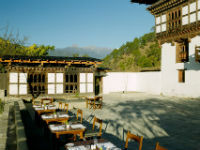 The courtyard rests adjacent to the Wandichholing Palace, birthplace of Bhutan’s monarchy. 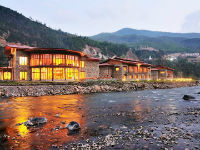 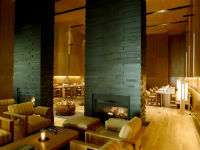 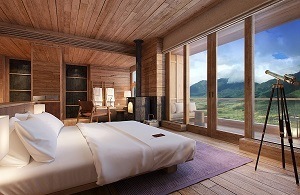 Six Senses Hotels Resorts Spas operates 11 resorts and 28 spas in 19 countries. 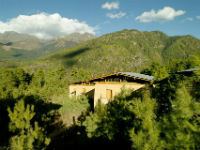 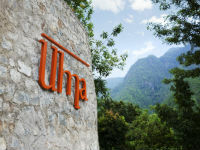 With uncompromising commitment to local community, sustainability, wellness and design, they traditionally operate in untouched, pristine locations renowned for their unique and diverse culture. 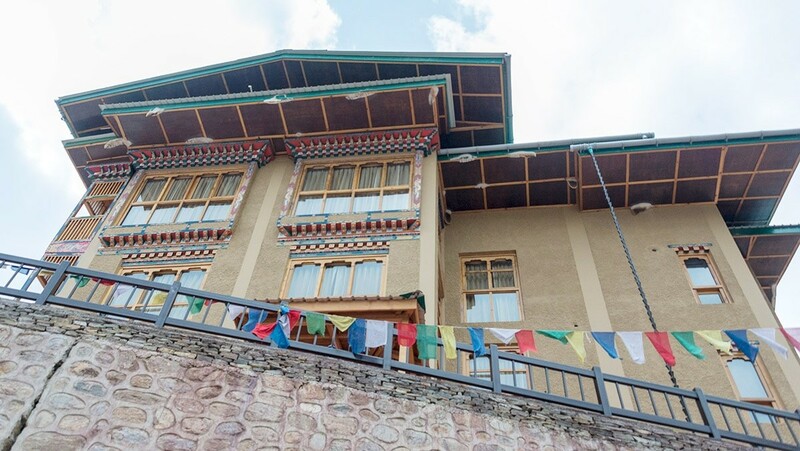 Rinchen Ling Lodge, a hotel nestled in the most spiritual land in the Dragon Kingdom. 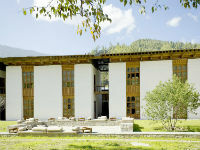 Peling is a brand new hotel that only starts operation in 2011. 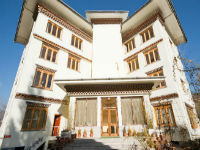 Wandichholing Hotel is the latest addition to hotels in Bumthang, Bhutan. 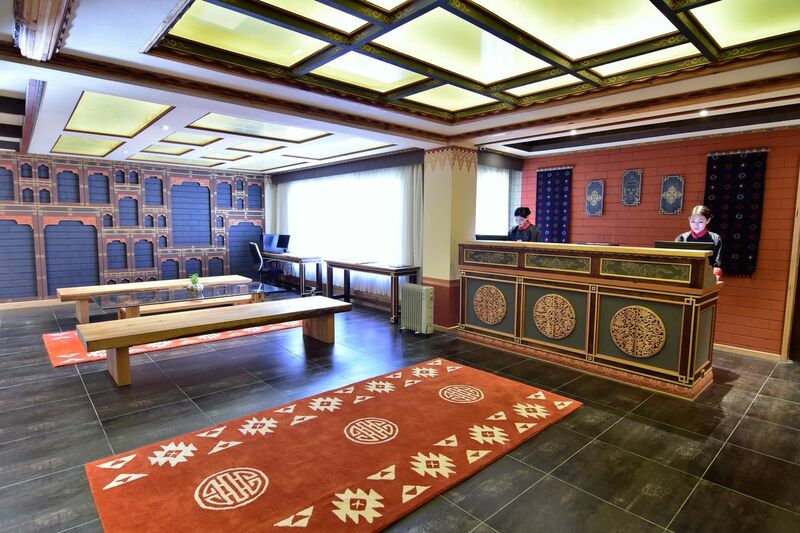 The hotel is equipped with traditional Bukhari. 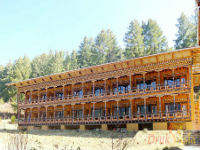 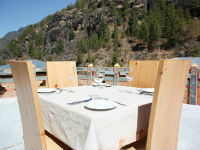 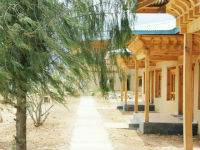 Jakar Village Lodge is a 4-star lodge established in 1997, by the managing proprietor Dasho Gasey Lhendup. 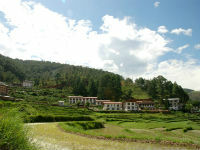 Valley Resort is located in the peaceful, picturesque countryside of the Bumthang valley. 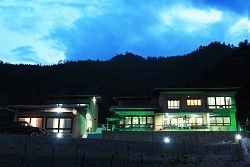 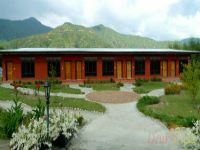 Yangkhil Resort is one of the few elegant establishment in Trongsa, the place where monarchy of Bhutan started.